Laura Harty who got 11 A’s receiving her Junior Cert results in Mercy Mounthawk. Photo by Gavin O’Connor. 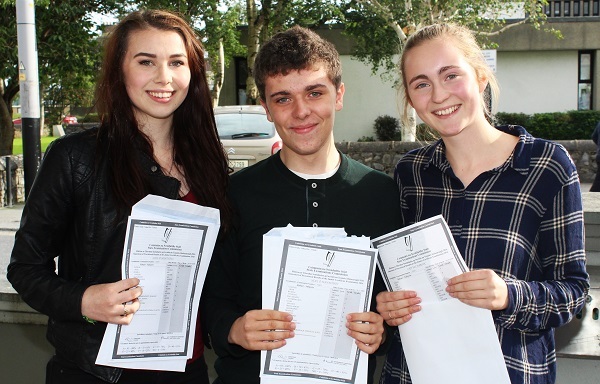 A WEIGHT was lifted for hundreds of students around Tralee this morning when they found out their Junior Cert results. Over 1,800 students in the county received their grades early this morning and students from the town’s schools looked pleased when we met a few of them. 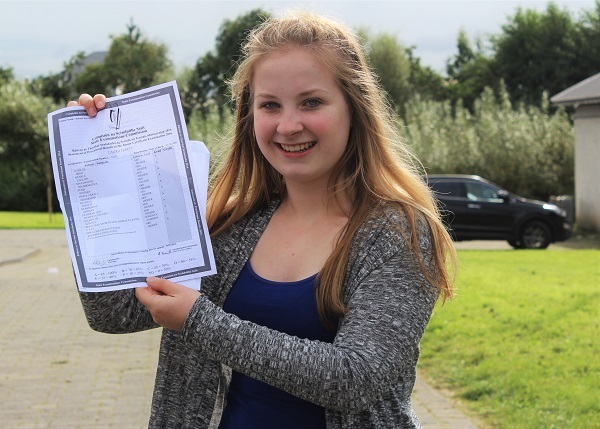 Laura Harty in Mercy Mounthawk opened her results to find she had got a staggering 11 A’s out of 11 subjects. She was shell-shocked but delighted with the result. “I can’t believe it,” said Laura Harty, “I didn’t think I would get 11 A’s!” she exclaimed. 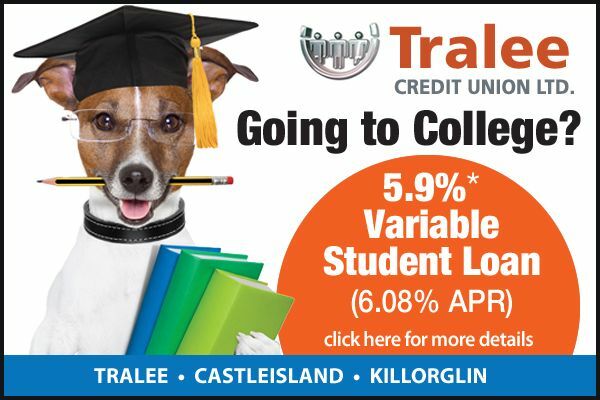 To put Laura’s achievement into perspective, only six students in Ireland got the maximum of 12 As this year. In Presentation Secondary, Ciara Boyd, achieved an almost equally impressive high score when she received 10 A’s and 1B. 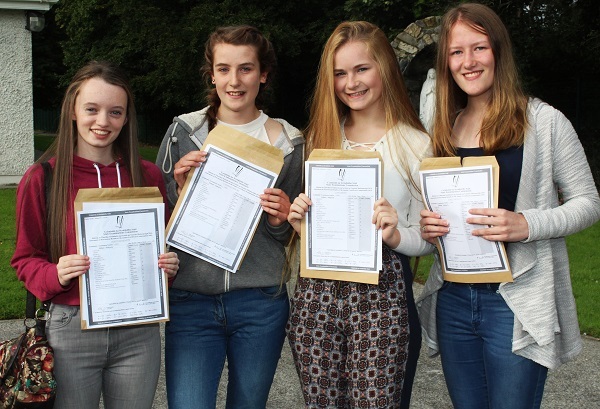 Roisin Moriarty, Caemnat Moore, Ciara Boyd and Emily Molloy receiving their Junior Cert results in Presentation Secondary School. Photo by Gavin O’Connor. 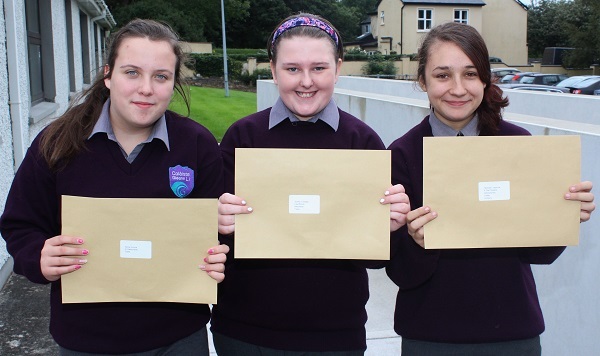 Emma Byrne, Clodagh Quirke and Yasmine McGrath receiving their Junior Cert results in Coláiste Gleann Lí. Photo by Gavin O’Connor. 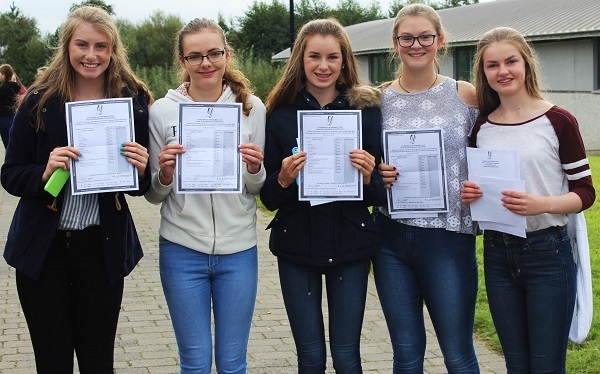 Geri Maye O’Sullivan, Emma Daly, Blathnaid Cotter, Sarah Ferris, Vilte Gaidelyge, Louise Crowley, Ioana Ignatova and Emer Ellard receiving their Junior Cert results in Presentation Secondary School. Photo by Gavin O’Connor. 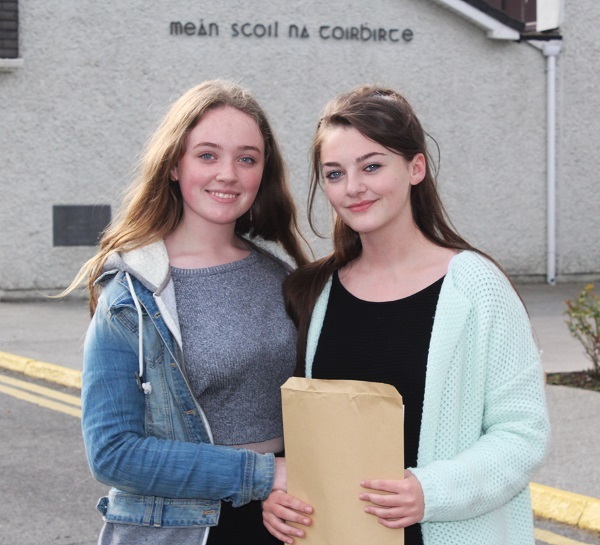 Tammy O’Shea and Sarah Ferris receiving their Junior Cert results in Presentation Secondary School. Photo by Gavin O’Connor. Aoife Ní Mhathúna, Neil Ó Seanacháin and Cáit Nic Dhabhoc receiving their Junior Cert results in Gaelcholáiste Chiarraí. Photo by Gavin O’Connor. 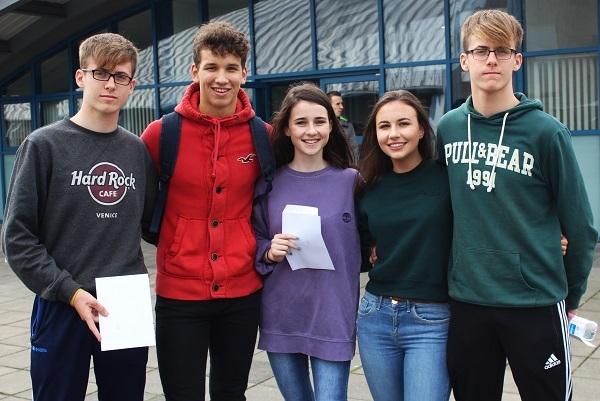 Niall Hurley, Seamus Harty, Iona O’Neill, Emma Godley and Tadhg Hurley receiving their Junior Cert results in Mercy Mounthawk. Photo by Gavin O’Connor. 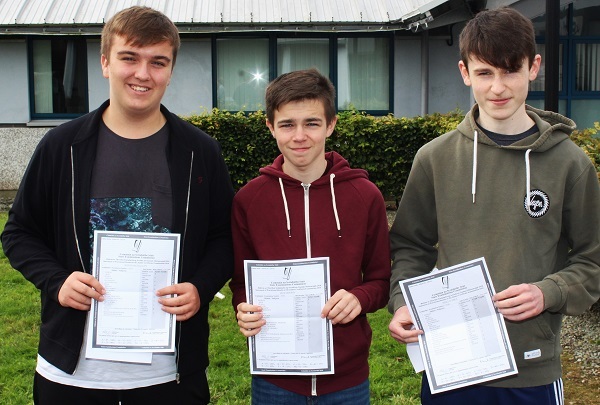 Jason O’Sullivan, Zyndir Griffin and John O’Mahony receiving their Junior Cert results in Mercy Mounthawk. Photo by Gavin O’Connor. 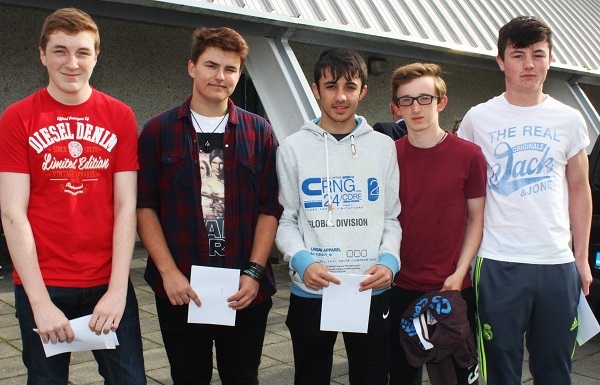 Richard Williams, Caspar Korol, Robin Sills, Brian Waldron and Shane McCarthy receiving their Junior Cert results in Mercy Mounthawk. Photo by Gavin O’Connor. 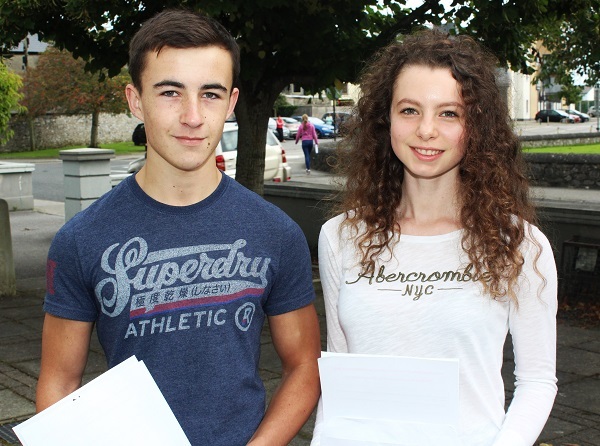 Cael Ó Duibhghiolla and Maggie Ní Nualláin receiving their Junior Cert results in Gaelcholáiste Chiarraí. Photo by Gavin O’Connor. 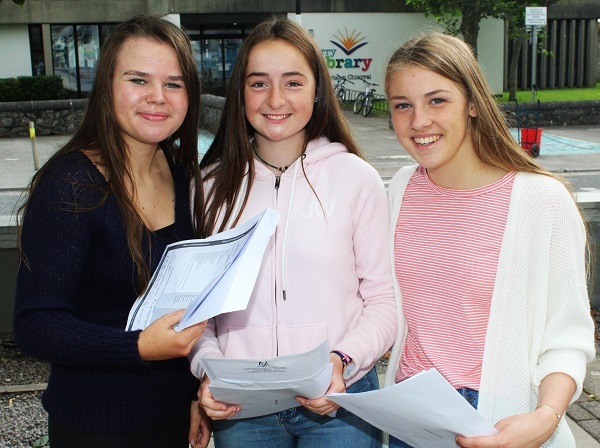 Rionach De Bhillis, Máire Ní Dhúgáin and Aoife Ní Chonaill receiving their Junior Cert results in Gaelcholáiste Chiarraí. Photo by Gavin O’Connor. 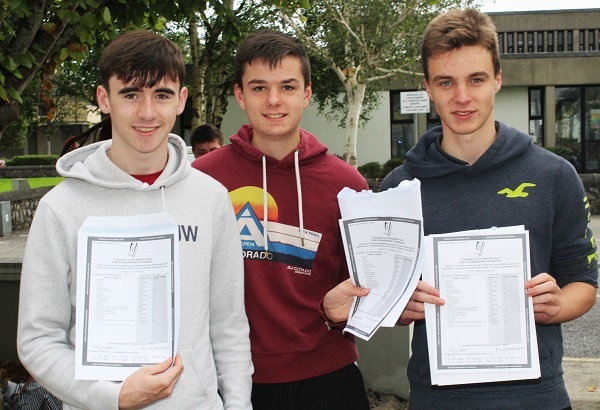 Tadhg Ó Loinsigh, Adam Ó Caonmhánaigh, Luka Ó Brosnacháin receiving their Junior Cert results in Gaelcholáiste Chiarraí. Photo by Gavin O’Connor. 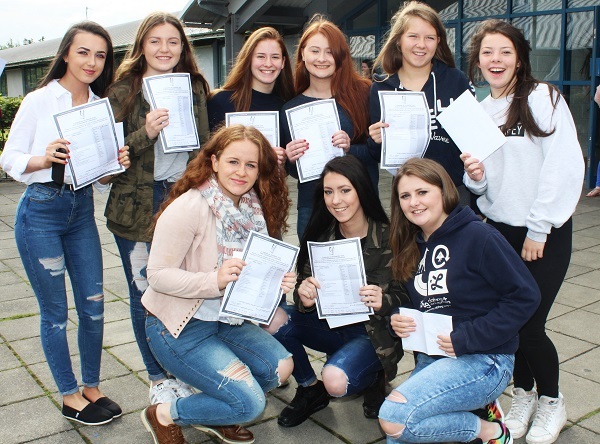 Katie Nagle, Éidín Dowling, Jenny Fox, Shauna Flynn and Amy O’Mahony receiving their Junior Cert results in Mercy Mounthawk. Photo by Gavin O’Connor. 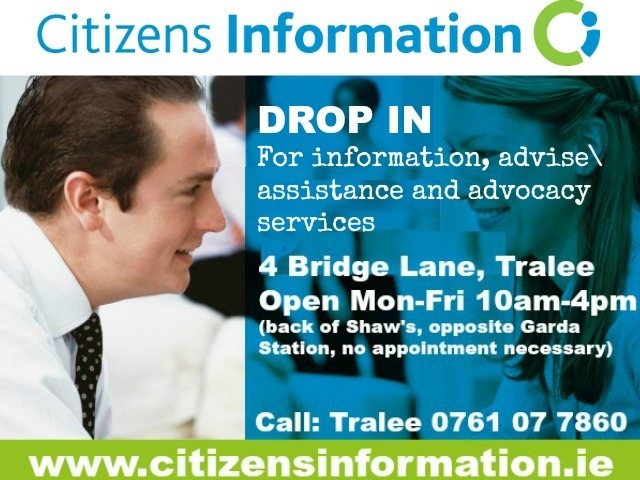 In front: Deirdre O’Halloran, Jade Sanderson. 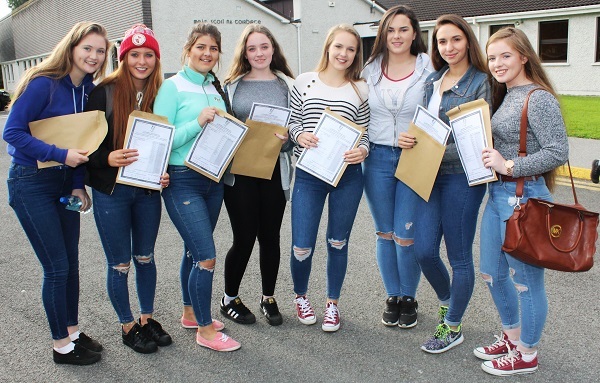 Back: Ciara Moynihan, Lucy O’Sullivan, Heidi Crean, Rebecca Dennehy, Rheia McElligott, Deirdre O’Halloran and Marian Knightly receiving their Junior Cert results in Mercy Mounthawk. Photo by Gavin O’Connor. 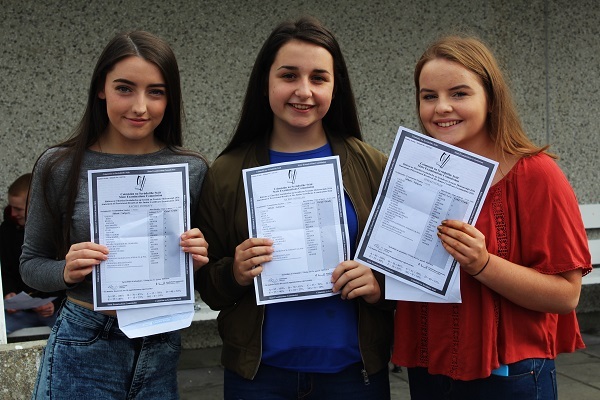 Rachel Doherty, Ailbhe Mangan and Sinead Foran receiving their Junior Cert results in Mercy Mounthawk. Photo by Gavin O’Connor. 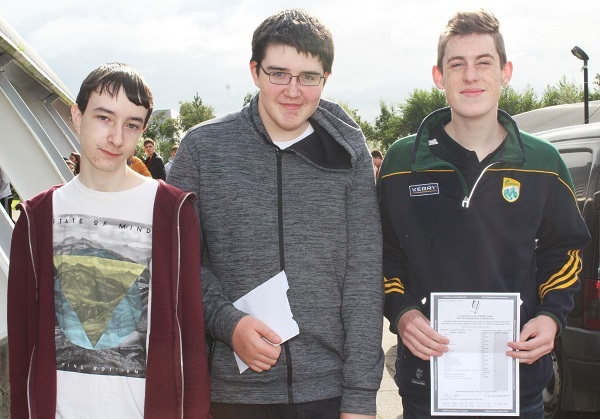 Ronan McElligott, Jack Murphy and Niall O’Shea receiving their Junior Cert results in Mercy Mounthawk. Photo by Gavin O’Connor. 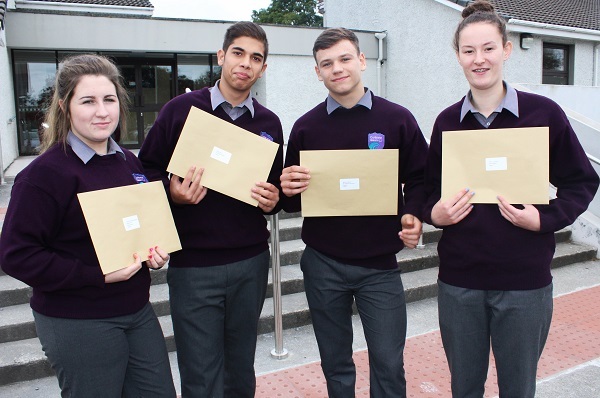 Michaela Lenihan, Petr Olah, Nikita Malovs and Jasmine Griffin receiving their Junior Cert results Coláiste Gleann Lí. Photo by Gavin O’Connor.